Information- The Staff Selection Commission will hold an open competitive Computer Based Examination for Recruitment of Sub-Inspectors in Delhi Police, Central Armed Police Forces (CAPFs) and Assistant Sub Inspectors in CISF. Interested and eligible Candidates must read the notification carefully before Apply. Selection Process: Mode of selection will be On-Line Examination, Written and Physical. 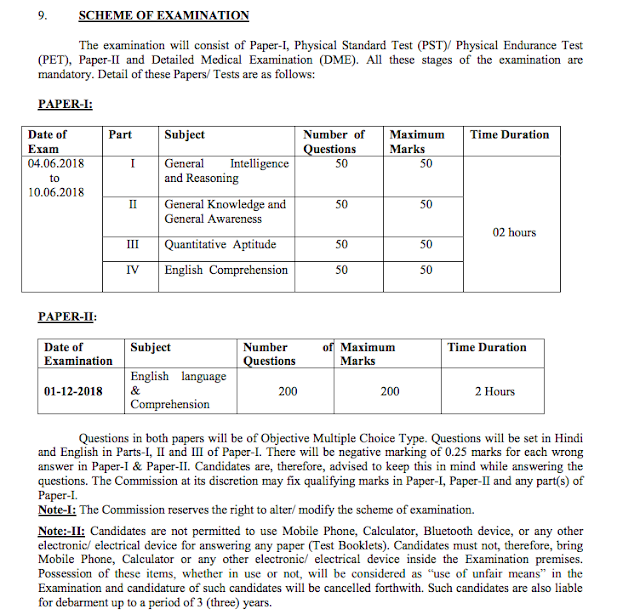 Note- Final Selection will be based on Written Exam & Physical test. You can follow step by step as instruction provided by SSC during form filling. We have provided the direct link to apply for SSC CPO/ Delhi Police 2018. SSC CPO 2018 apply online link and official notification link has been updated, it should be advised before applying candidates should read official notification carefully.